I really couldn’t be prouder to announce my 10th recital which will take place on Saturday, July 6th at the Beeches property. 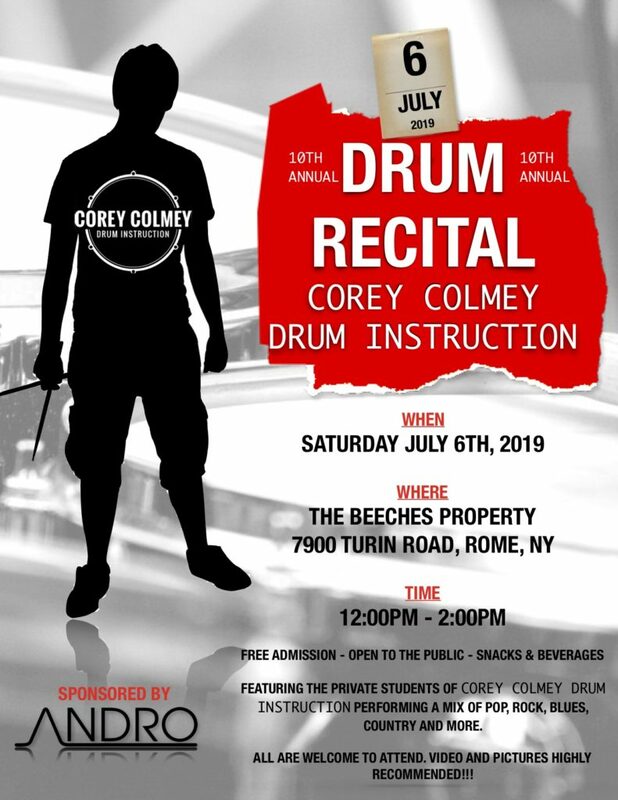 Come celebrate and enjoy some great drumming with amazing performances by students studying with Corey. You’ll see ages 5 and up performing a variety of styles and levels of music, sure to blow you away. Free admission, snacks & beverages provided. All are invited.